Wiese was literally a non-factor both offensively and defensively once again, as she failed to contribute in any statistical category Sunday. In 10 appearances this year, the 23-year-old has yet to score a point while hauling in three rebounds. Wiese had been battling a knee injury, which caused her to miss nearly two weeks, but she returned to action in a limited bench role Sunday. The second-year player has appeared in only seven games on the season. Wiese looks like she's finally turning the corner on a knee injury that has kept her sidelined for nearly two months. She has been traveling with the team which is a good sign, but until Wiese steps on the court there will be some reason for caution. Although she's believed to be nearing a return to the floor, Wiese will sit out at least one more contest due to a sprained left knee that's kept her sidelined for over a month. Her next opportunity to return to the floor arrives Sunday when the club travels to Las Vegas. Wiese has been sidelined for a month with the sprained left knee, but the six-foot guard looks to be on the cusp of a return. She made the trip with the Sparks to Seattle, an indication that she may have a realistic shot at playing in Los Angeles' next contest Thursday against Dallas. Wiese (knee) is out for Saturday's game against the Mystics, Andrew Joe Potter of The Score reports. Wiese failed to play Thursday against the Lynx, and she'll remain out for the 14th straight game as she attempts to recover from a knee injury. It's unclear when she'll be healthy enough to return to action. Wiese's next opportunity to play will come Tuesday against Seattle. Wiese (knee) will not play during Thursday's tilt against the Lynx, Andrew Joe Potter of The Score reports. Thursday's absence will make Wiese's 13th in a row as she continues to recover from her knee injury. There remains no timetable for her return, so she should continue to be considered day-to-day for the time being. Her next chance to take the floor arrives Saturday against Washington. Wiese (knee) has been ruled out for Tuesday's game against the Sun, Andrew Joe Potter of The Score reports. Wiese has been out for more than two weeks now and Tuesday's absence will bring her streak up to 12 straight games on the sidelines. The Sparks have yet to provide any sort of timetable for her return and the fact that she's being ruled out a day in advance of Tuesday's contest suggests she's not exactly on the brink of getting back on the floor. 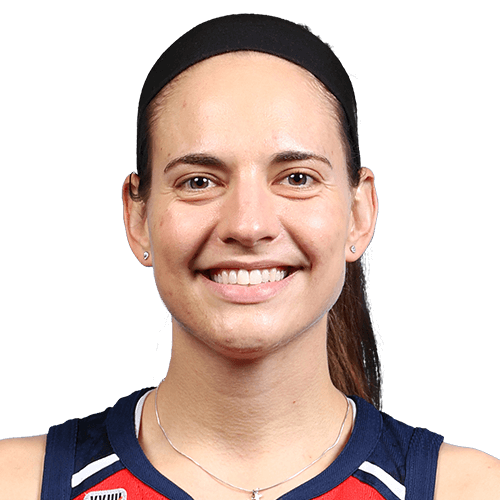 Either way, Wiese will continue to be evaluated on a game-to-game basis, with her next shot to take the court coming Thursday against the Lynx. Wiese (knee) will not play Sunday against Las Vegas, Andrew Joe Potter of the Score reports. Wiese has missed the team's last ten games with her knee issues and the streak will stretch to at least 11 when she sits out Sunday. Her next opportunity to return will be Tuesday when Los Angeles plays host to Connecticut. season-high 16 minutes against the Seattle Storm on 6/17. Set the Sparks individual season high with 6 3FG made vs. Washington on 5/19. Brock Entner, played basketball at Baker University in Kansas from 2008-10.